Q. I’ve seen people hang rosaries over the rear view mirrors in their cars and a few of them wear them around their necks. Is it OK to do that? A. First of all, let me give a simple answer and say that I think these practices are fine. I’ve seen many rosaries hanging from rear view mirrors of people who are quite devout and love our Lord and His Blessed Mother. For them I believe it is a way of letting their love for Mary show forth for all to see. I think the same would be said for those who have worn them around the neck. So I think that if someone chooses to do either of these practices they are most likely doing it out of a devotion to and love for our Blessed Mother. Personally I do not hang the rosary from my mirror or wear it around my neck but I always have it in my pocket. And at night I sleep with it wrapped around my wrist. I suppose that keeping the rosary close to us is similar to wearing a cross or scapular or like hanging a sacred picture in our room. Rosaries are blessed objects so, for that reason, are good to have around. With that said I think it must also be said that the Rosary is, first and foremost, an instrument of prayer. And I suggest to you that it is one of the best prayers we can pray. 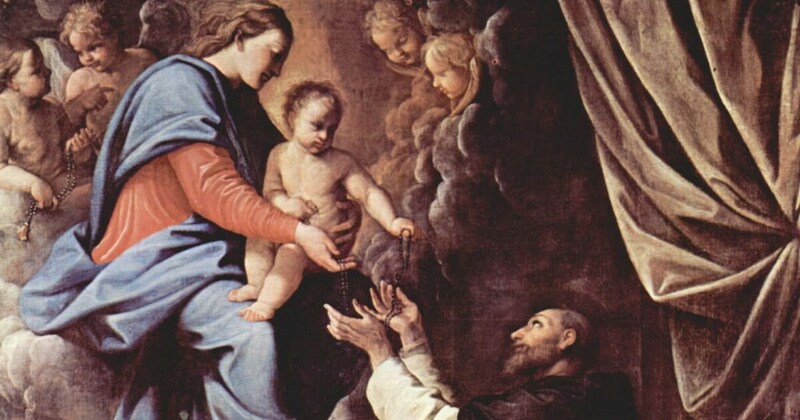 Rather than explain the Rosary in my words, allow me to offer you some of my favorite quotes from the great saints regarding the rosary.